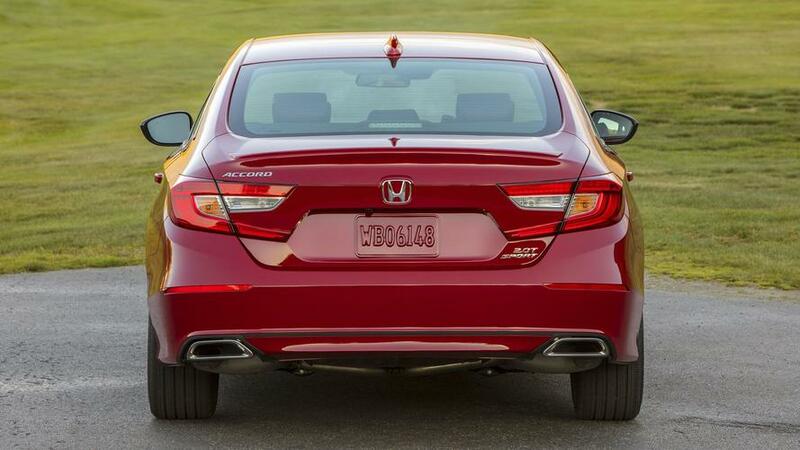 The midsize sedan is not dead, and Honda’s brilliant new Accord will make you glad you’re still breathing, too. The idea that Americans aren’t buying sedans any more is, frankly, false. While even a cursory glance at the trend lines will tell you that SUVs and crossovers are still surging in popularity, it’s unwise to go further and extrapolate that the midsize sedan is dead. 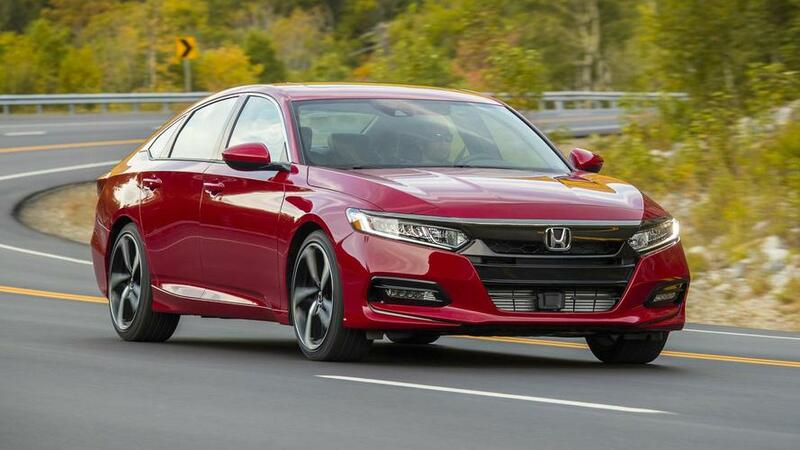 Honda sold 345,225 Accords in the U.S. 2016 – still shy of the 388,618 Toyota Camry models buyers snapped up – which is to say, a whole hell of a lot of new cars. 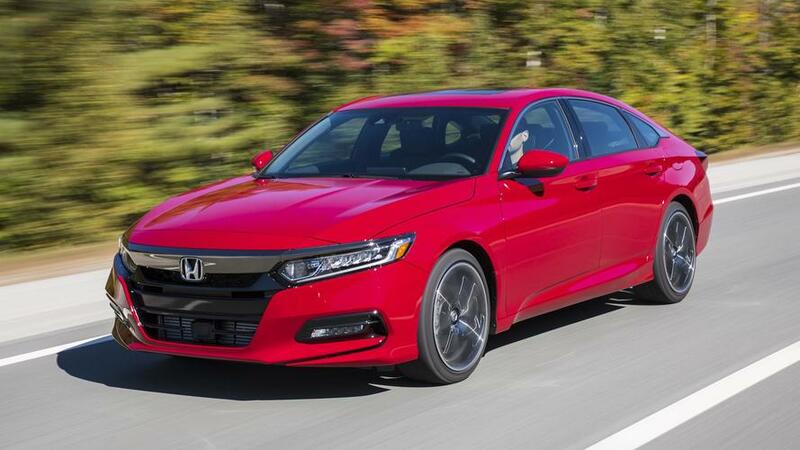 To say that getting the new, tenth-generation Honda Accord right is critical, then, is a deep understatement. 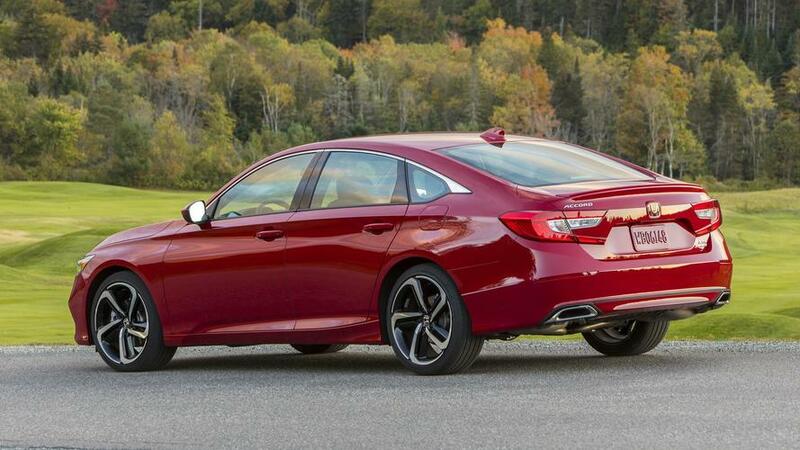 None of that is top of mind as I downshift from fourth to third gear, swinging the Accord Sport 2.0T I’m driving just a little wide so I can nail the apex on a brilliant little New Hampshirite back road. A few degrees of steering and I’m staring right down the barrel of the corner; I flex my right foot and feel the torque roll on, while the forested roadside speeds up just a little, and I mentally cross my fingers that I’m still a little too far south to worry about moose. Tidy. 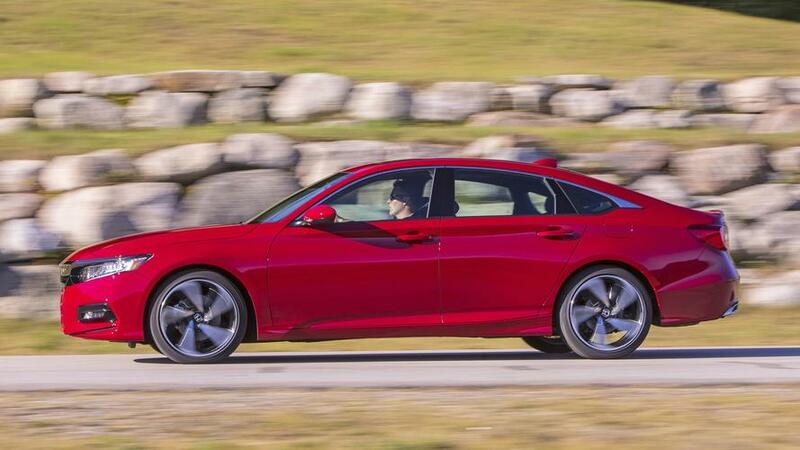 From the humble 1.5 and CVT-equipped car, all the way to the top Touring trim with a 10-speed automatic and the turbo’d 2.0-liter, Accord has something good for all comers. Not many of the hundreds of thousands of upcoming 2018 Accord buyers will spec out this slick six-speed manual and the top-end, turbocharged 2.0-liter engine, but my tossing it around the countryside does crystalize one of the core goodnesses about the car: versatility. 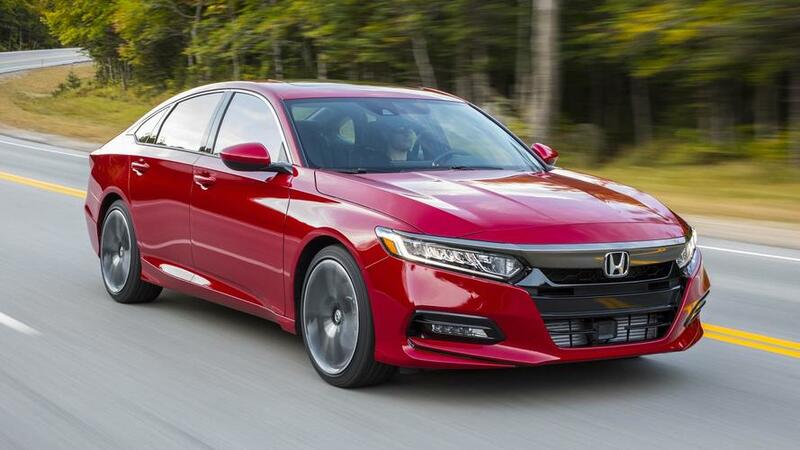 From the humble 1.5 and continuously variable transmission-equipped car, all the way to the top Touring trim with a 10-speed automatic and the turbo’d 2.0-liter, Accord has something good for all comers. Let’s start with the common bits, and save the powertrain breakdown for later (you can scroll down now if you like, but I’ll know you did). 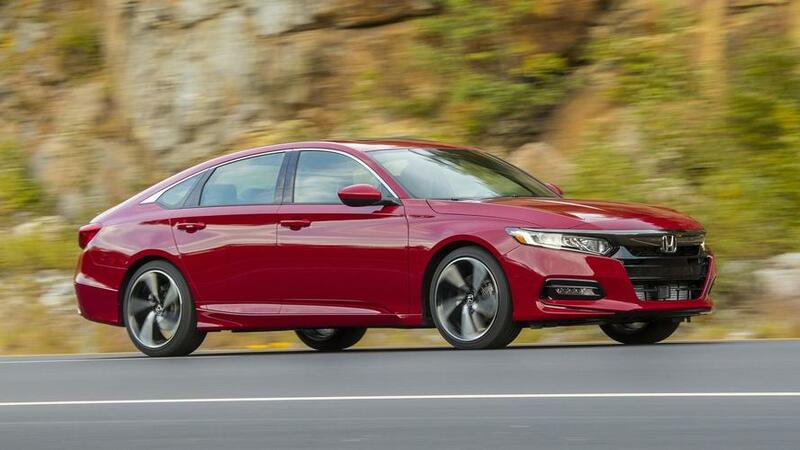 Honda stretched the Accord’s wheelbase by more than two inches while shortening the overall length by 0.3 inches, and widening it by a half inch. The result is a car with more passenger room than the other top competitors in the segment – Camry, Altima, and Fusion – especially in the back seats. 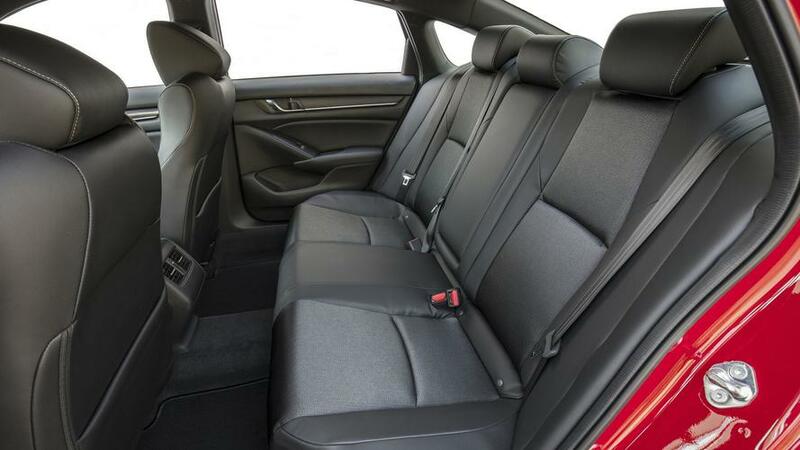 The Accord boasts 40.4 inches of legroom in the back chairs, over two inches more than any of the trio mentioned above (4.3 inches up on Altima). And though I had plenty of room behind the steering wheel, it is only fair to mention that both Altima and Fusion have more room to stretch out up front. The clever Honda packaging also extends to the truck, where Accord’s 16.7 cubic feet also leads the top five midsizers. I really prefer the Sport’s cleaner bodyside, which deletes a chrome strip running along the character line on the sill and side of the rear bumper. 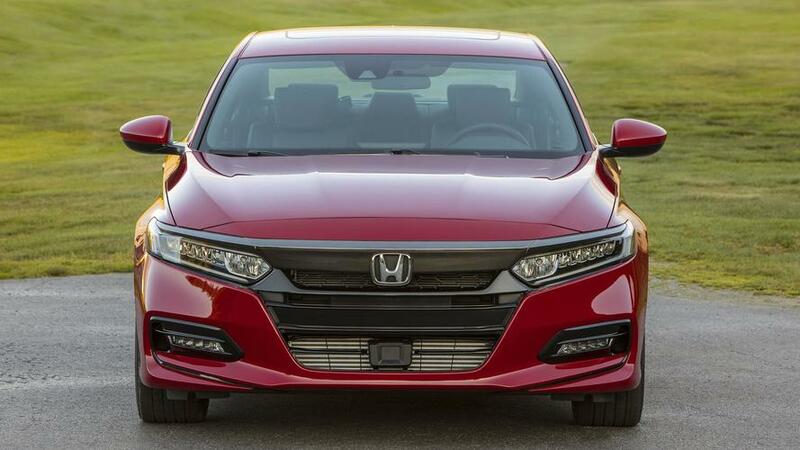 They say you eat first with your eyes, of course, and a new buyer is going to want to look at the Accord before they get in to see how roomy it is. Exterior design here isn’t quite so bold or polarizing as found on the Civic, as you might expect – this is a car for a more mature customer – but the shape is far from vanilla. 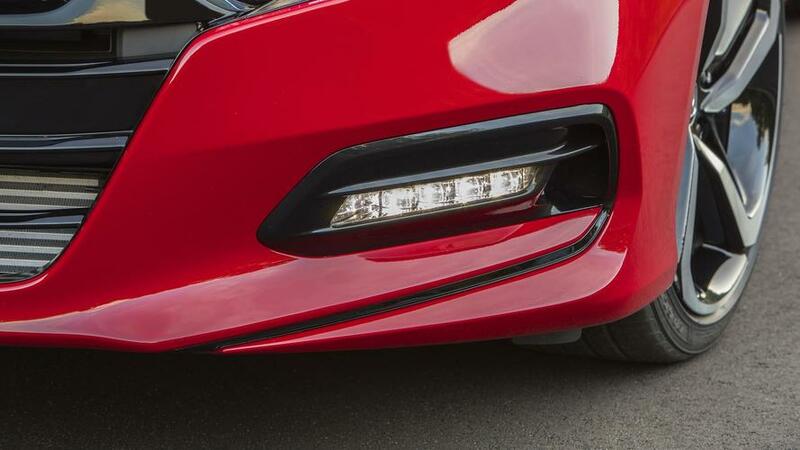 I prefer the dark chrome bar found on the front fascia of the Sport trimmed cars to the standard chrome finish on the Touring model. And I really prefer the Sport’s cleaner bodyside, which deletes a chrome strip running along the character line on the sill and side of the rear bumper. In profile view, not everyone is going to love the sloping rear roofline that reminds me the tiniest bit of an Audi A7, but it wouldn’t be a Honda if every angle were universally loved, either. Inside I feel as though there will be less to debate. 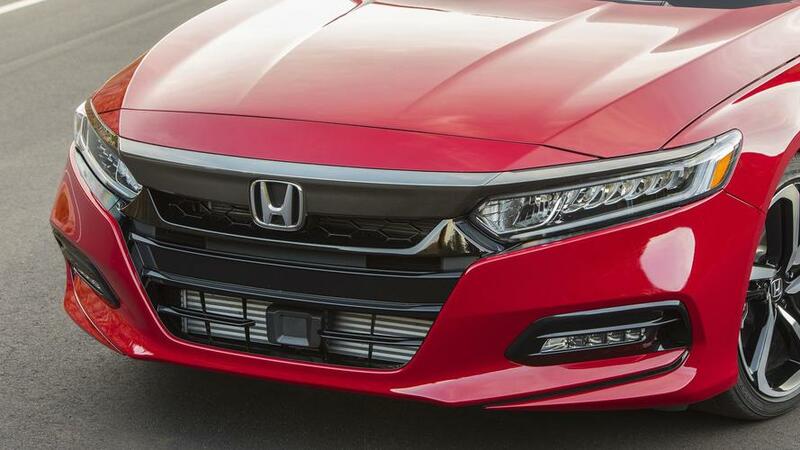 From bottom to the top of the trim sheets, the Accord cabin just oozes understated design and high-quality materials. Seats walk a tightrope between comfort and supportive bolstering – at least for someone my size, though I didn’t hear any seating position complaints from my fellow reviewers. All of the trim pieces and surfaces found forward of the driver really seems as though they could fit in a Lexus (or Acura); even the dash plastics and covers for the A pillars feel a cut above for the segment. The new eight-inch Display Audio screen (standard on all trims save for the base LX) is familiar from the new Odyssey, and brings a better balance between new tech and classic controls than in previous Honda products. Traditionalists will be overjoyed to see physical knobs – with a pleasant clicking action while turning, I might add – for both volume and channel selection. The screen is flanked by a few buttons for high-use features, as well. Better still, the touchscreen has well-resolved graphics, a configurable tile-based layout, and is generally easy to use. 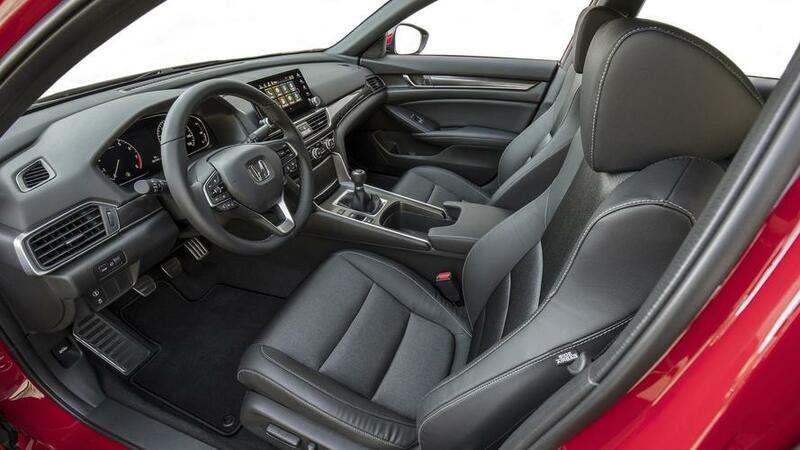 From bottom to the top of the trim sheets, the Accord cabin just oozes understated design and high-quality materials. Of course, Android Auto and Apple CarPlay are both supported, as are wireless Qi charging and bluetooth pairing via NFC technology (tap your compatible smartphone to the small N-Mark on the dash, and you’re hooked up). And nothing is easier to figure out than the operating system of the phone you use every day. 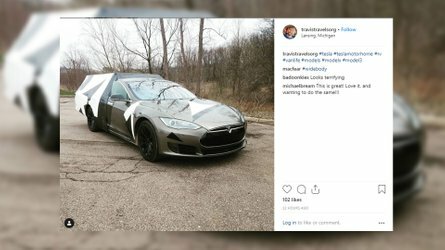 Cool tech undoubtedly helps to sell new cars. But thankfully Honda, a company that has seemingly regained its once wayward driving-joy mojo, has screwed together a fantastic drivers machine. I tested all five combinations of engine and transmission that Accord will offer, though I’ll tell you upfront that the “very early prototype” version of the Hybrid is the car I drove the least, and will wait for a follow up to fully review it. 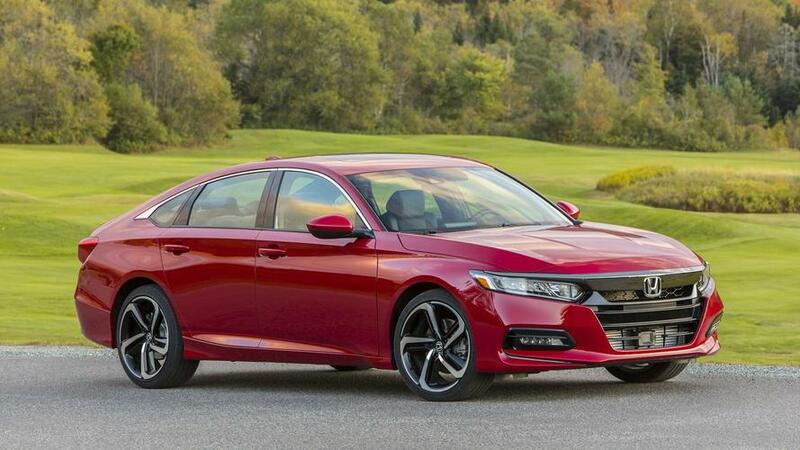 Beyond that, Honda will sell Accord with two engines and three transmissions: the turbocharged 1.5-liter four can be had with a CVT or a six-speed manual, while the 2.0T offers a 10-speed automatic, or the 6MT. 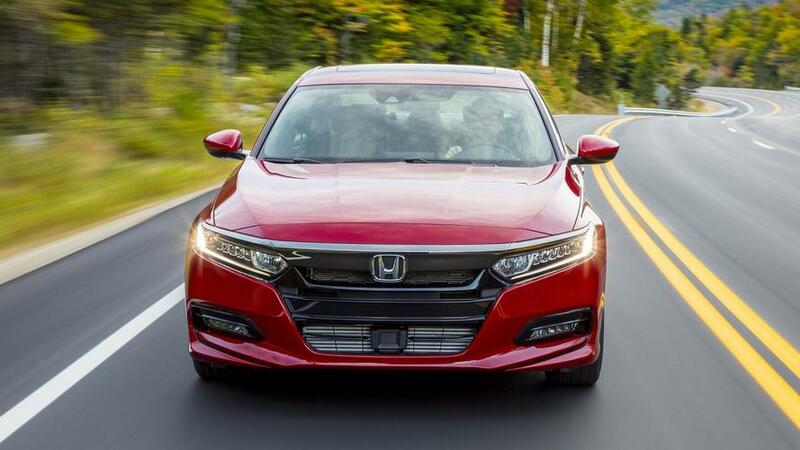 The 1.5T makes 192 horsepower and 192 pound-feet of torque under the Accord’s hood, enough to make the roughly 3,100- to 3,300-pound sedan feel lively when you’d like it to. 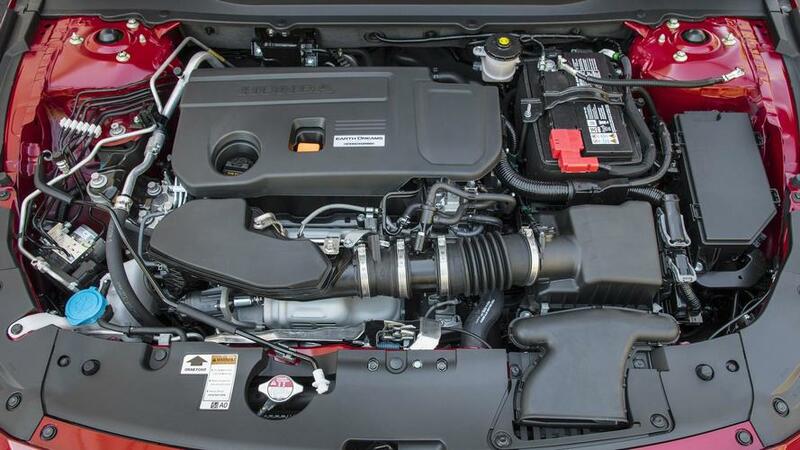 This engine paired with the CVT transmission was far and away my least favorite flavor of the new Accord, thanks mostly to a droning sonic character (which goes away in the Eco driving mode, but takes throttle response with it). Still, peak EPA fuel economy ratings of 38 highway and 30 city, and an LX starting price of just $23,570, should all make this the volume model. Even here I was heartened by the fact that actually using the steering-wheel-mounted paddle shifters made driving the CVT a lot more enjoyable. The car is kind of a sleeper: Fast and agile, it’s a struggle to think of a car that can match this experience without moving down a class, or spending loads more on a luxury sports sedan. But when I moved into the Accord Sport with the 1.5T and a typically wonderful Honda six-speed manual, the car came alive. On the dedicated “handling route” – some very tight country lanes climbing gently in the hills surrounding Jackson, New Hampshire – I was almost convinced that I didn’t miss the added power from the larger engine. All of the engine torque was available at just 1,600 rpm, meaning quick starts and quicker corner exits were on tap. 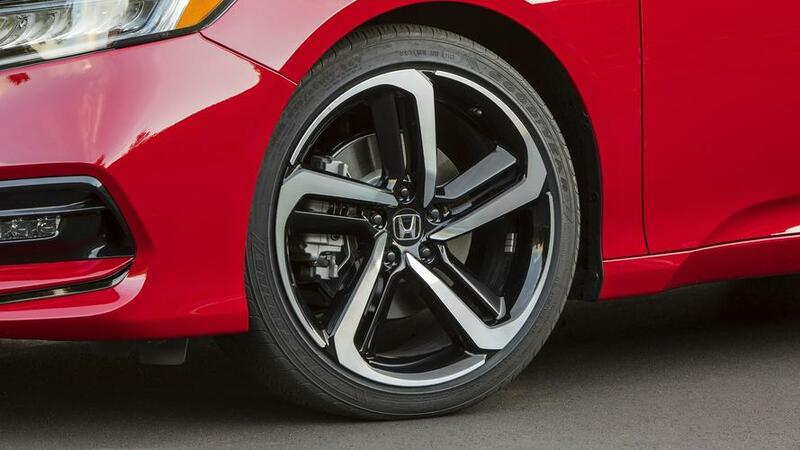 The 2.0T, on the other hand, is a straight-up tire chirper. 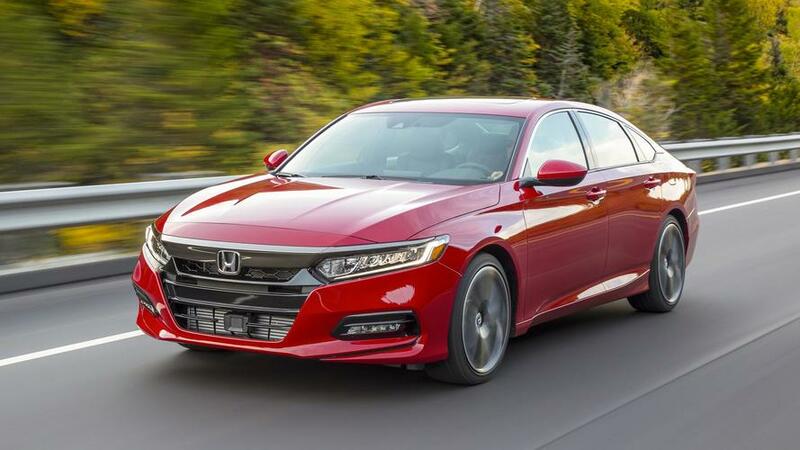 Output of 252 hp might be down a bit from last year’s V6, but the 273 lb-ft of torque, delivered seamlessly to the front wheels, makes up for the loss, and is the highest torque figure ever for Accord. 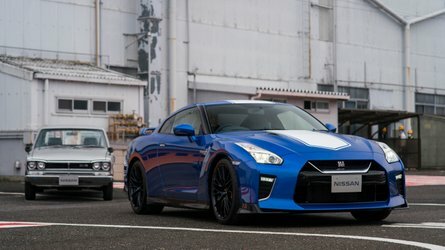 Paired up to the 6MT, the car is kind of a sleeper: Fast and agile, it’s a struggle to think of a car that can match this experience without moving down a class, or spending loads more on a luxury sports sedan. In fact, give me an Accord Sport, with the very good fixed-rate suspension, the bigger engine, and the six-speed gearbox. If you can get over the front-drive factor – and you should, because the handling is excellent – that’s about as practical a fun machine as you can buy for around thirty grand. 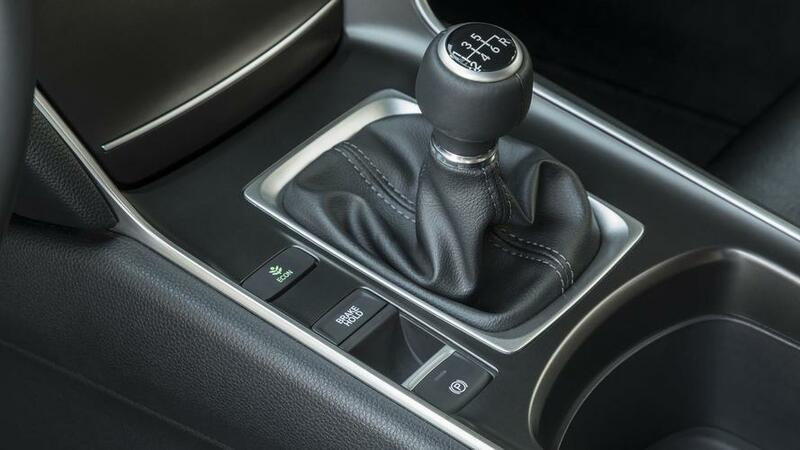 The 10-speed does a great job keeping me where I want to be in the rev range – especially in Sport mode – and is responsive to paddle shift inputs as well. At the top of the powertrain food chain is the 2.0T paired to the 10-speed automatic I first tried in the new Odyssey. Though it loses a little of the enthusiastic vigor when compared with the 6MT, this is still a slick setup. The 10-speed does a great job keeping me where I want to be in the rev range – especially in Sport mode – and is responsive to paddle shift inputs as well. I didn’t notice too much hunting around on hilly sections of road, either. At the very least the combination here is far more refined than what I found with the CVT, and appropriate for the top-end Accord. Balance between ride quality and handling ability is right on the money. As I mentioned above, the base suspension setup – MacPherson struts in front, with a multi-link rear, and single-mode dampers – is really pretty good. Granted, the roads I was driving on were generally pretty good, but bumps and cracks in the paving were absorbed well, without any overt softness in the corners. Touring models come with adaptive, two-mode dampers (normal and sport), which does offer a broader range between sharpness and smoothness. But I’m not convinced I’d spend the extra cash just for this small improvement. There’s a pretty wide spread of cash between the bottom and the top of the 2018 Accord lineup, but as you’d expect, pricing is in lockstep with the segment-leading Camry. 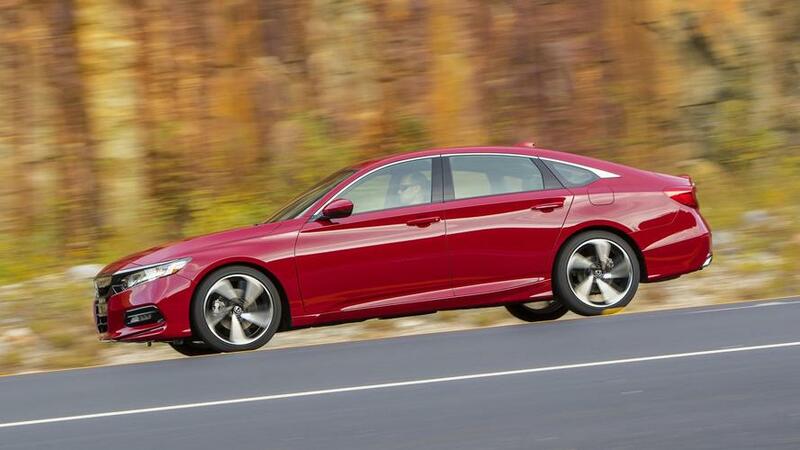 The LX base car (1.5T and CVT) hits your wallet for $23,570 while the top-trim Accord 2.0T Touring runs $35,800 before the $875 destination charge. Toyota wants a little less, $23,495, for its stripper Camry L, and is nearly a grand cheaper at the top end with the $34,950 XSE V6. As ever with popular new models, available stock and local pricing could easily tip the scales in one direction. The gen-ten Accord is great, in part, because it would seem to work so well for so many people. 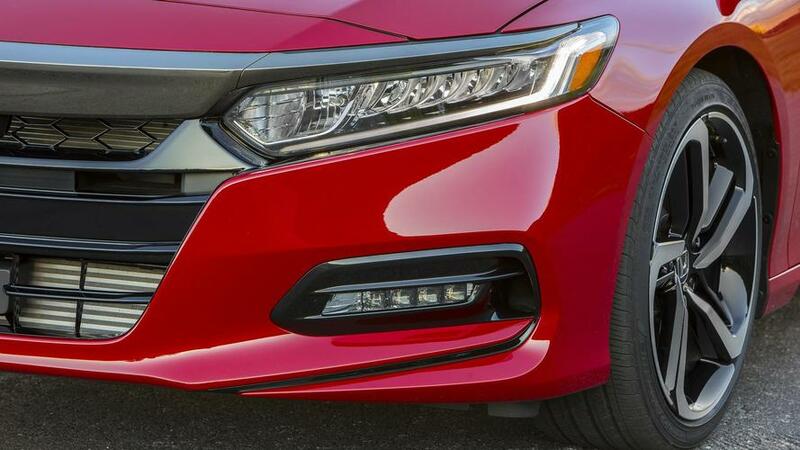 It’s hard to add relative fuel economy to the mix since Honda has only shared preliminary figures for the 1.5T cars, and not for the 2.0-liter or the Hybrid (both of which go on sale after the base-engined cars). Most versions of the 1.5 with a CVT get 30 miles per gallon in the city, 38 on the highway, and 33 combined, but the Sport 6MT car goes for just 26 city, 35 highway, and 30 combined. Meanwhile the Sport and Touring trims with the CVT get 29/25/31. 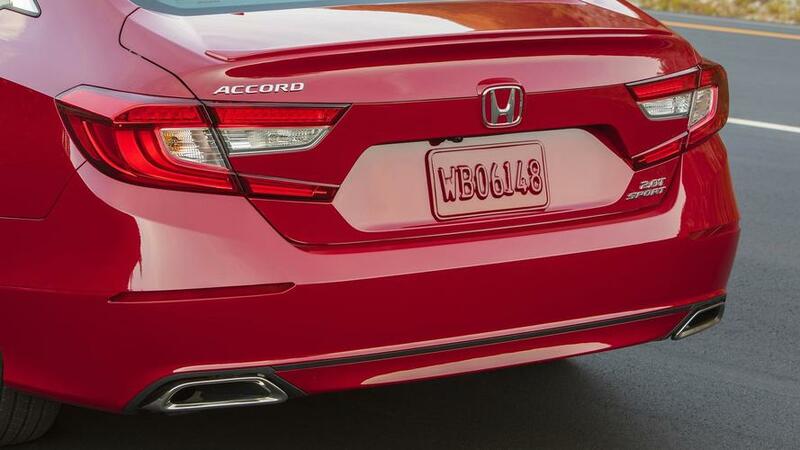 I’m torn on which version of Accord I’d actually slap down my dollars for. 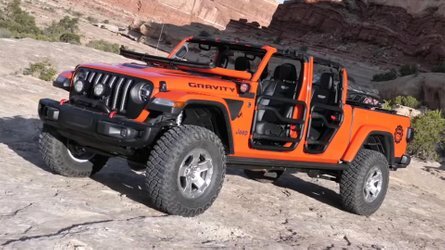 In both cases the trim is the second-from-bottom Sport, and the transmission would be that tremendous manual... 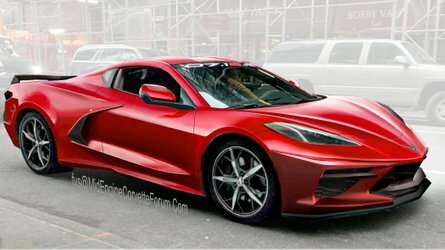 I just don’t know if I’d jump from $25,780 to $30,310 to get from the 1.5-liter to the 2.0. For enthusiasts, both are great choices. 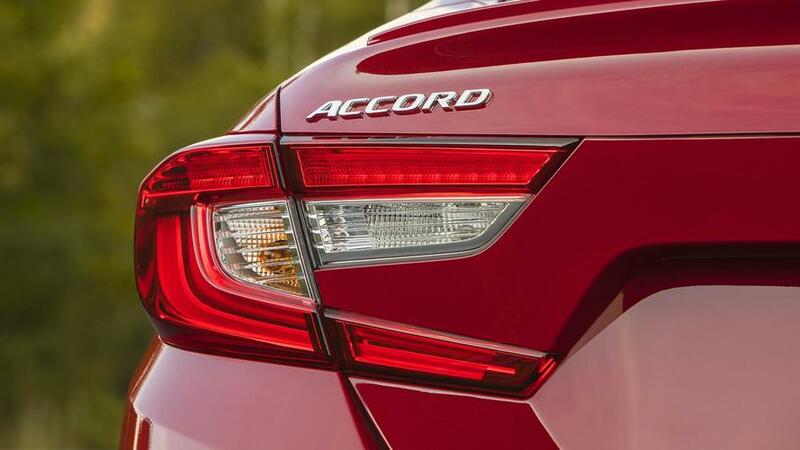 And for non-enthusiasts, the complete Accord range is a treasure trove of good things. The gen-ten Accord is great, in part, because it would seem to work so well for so many people. From drivers who don’t care about curves, just looking for a reliable, practical, fuel efficient way to get to work, to those of us that look for any excuse to lengthen the commute with a “short cut” – Accord has you covered. And if that stops a few people from buying an SUV or crossover, well, win-win.